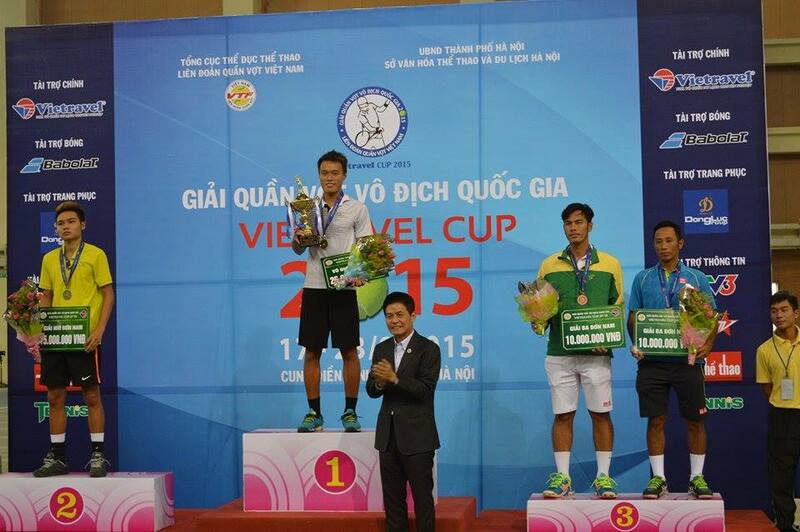 HA NOI (VNS) — Pham Minh Tuan won the men's singles title at the National Tennis Championships-Vietravel Cup yesterday in Ha Noi. Tuan of Da Nang defeated Hanoian Trinh Linh Giang 6-4, 7-6 (3) in the final match. For the women's event, Tran Thi Tam Hao of HCM City beat Lian Tran of Binh Duong 6-4, 6-2. HCM City players dominated the event, bringing home three titles in women's doubles, men's doubles and women's singles. The mixed doubles' title went to Tran Thanh Hoang and Nguyen Tu Kim Ngan of the Military team, crushing Tiffany Nguyen and Vu Artem of Binh Duong 2-0 in the final.